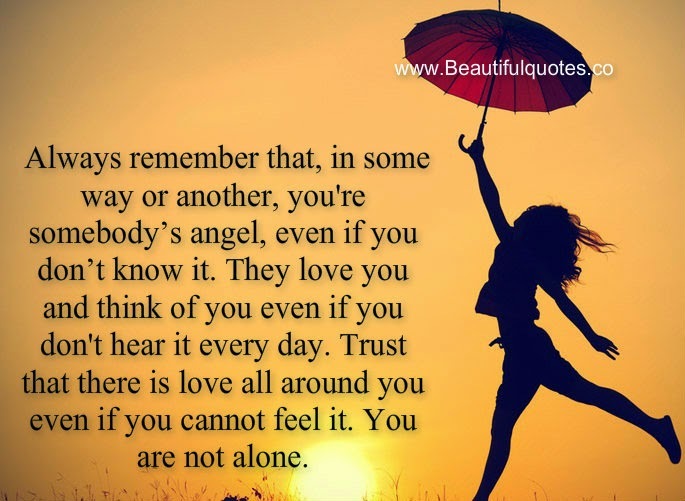 google-site-verification: google8d8438b214143f71.html Beautiful Quotes: You’re somebody’s angel. Always remember that, in some way or another, you're somebody’s angel, even if you don’t know it. They love you and think of you even if you don't hear it every day. Trust that there is love all around you even if you cannot feel it. You are not alone.